« Older: Meet the 2018-2019 San Pedro Pirates Football Club Players! Newer: » Tres Pescados Grand Slam fly fishing tournament is underway! Ambergris Caye saw the graduation of 26 new divers who participated in the annual summer scuba diving program called ‘Kids in Action.’ The camp comprised of students and public workers, with orientation sessions at the San Pedro High School, as well as individual classes with their assigned instructors, who walked them through all the steps to become certified Open Water divers. On Saturday, July 28th, each successful participant was recognized with their certificate and saluted as a brand-new open water certified diver. The summer program began on July 16th and was organized by the San Pedro Tour Operators Association, in collaboration with San Pedro Tour Guide Association with the aim of training participants in open water diving. The program also intends to pass down skills from older professionals to the younger generation. 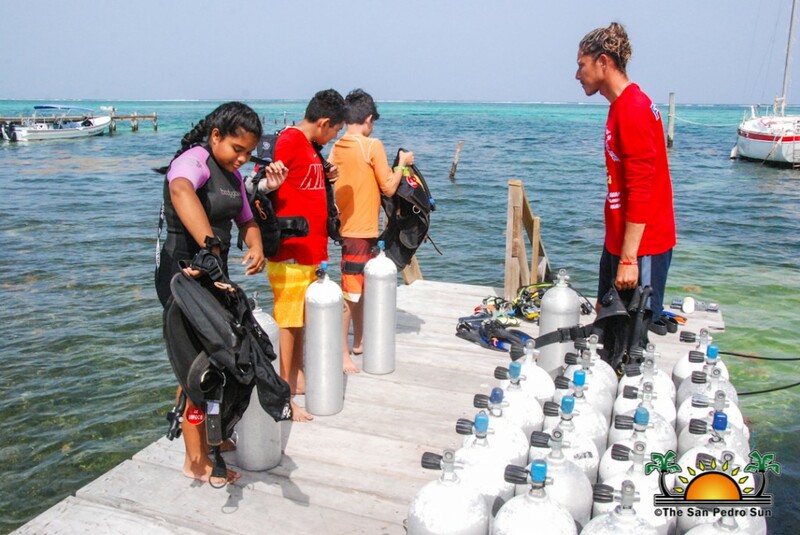 During the course, participants learned how to use diving equipment and dove in some of the most beautiful sites around Ambergris Caye. They mingled and swam with turtles, hundreds of fishes, stingrays, and even sharks. 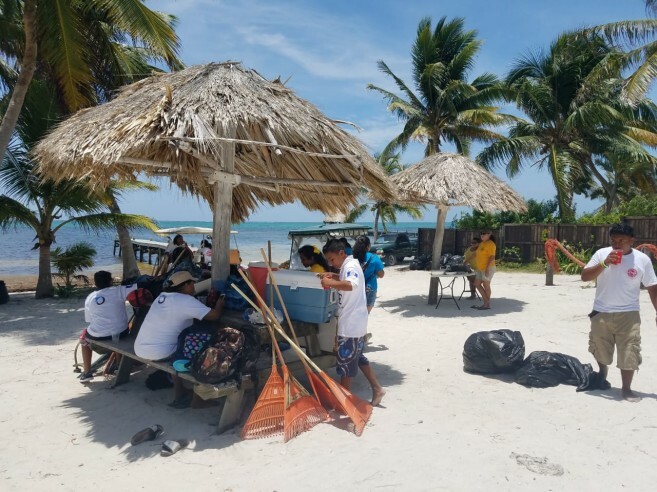 After dominating the ropes of diving, Kids in Action graduates participated in a clean-up campaign at the San Pedro Lions Mosquito Coast Park south of San Pedro Town on. The students spent the morning cleaning the park, and after lunch, they headed to Ramon’s Village Resort. From there they were taken to a group dive at the Hol Chan Marine Reserve. Later in the evening, the students were presented with their certificates of completion in front of their parents and friends. Organizers thanked all participants and tour guides for making this year’s camp another successful one. The new divers are expected to stay active and volunteer in future programs with local institutions like the Hol Chan Marine Reserve. 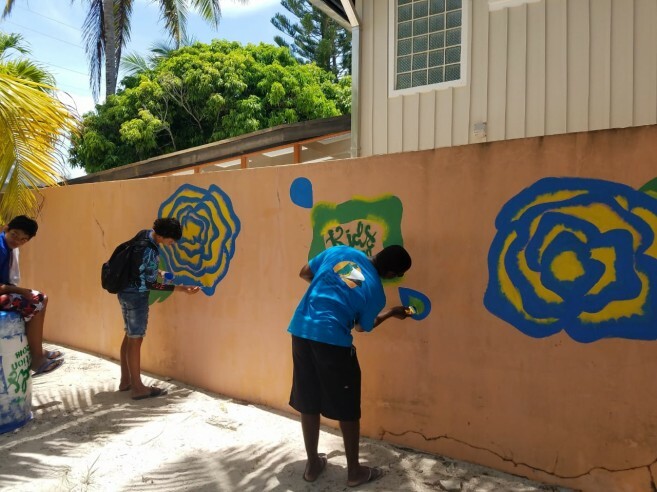 The camp costs over $30,000bz to run, however, thanks to kind volunteers and donations from the many businesses and dive shops on the island, the program is offered free to the students. 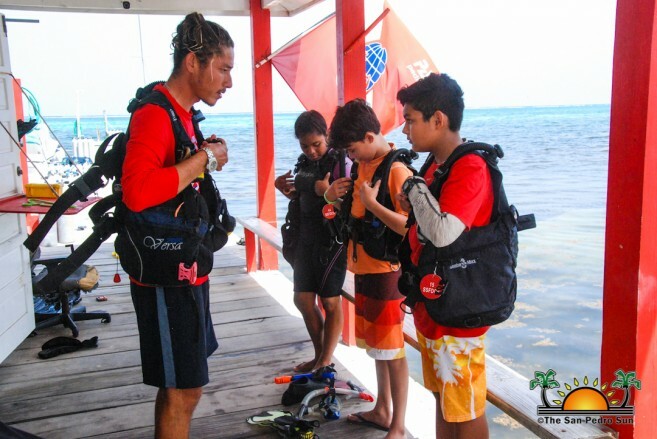 The The new divers were also invited to get their identification picture for their Professional Association of Diving Instructors (PADI) Diving Card which officially certifies them as junior scuba divers. Following the ceremony, everyone was invited to enjoy some refreshments as they celebrated. It is expected that every diver is insured, free of charge, in the event of any diving accident for an amount of up to $250,000. 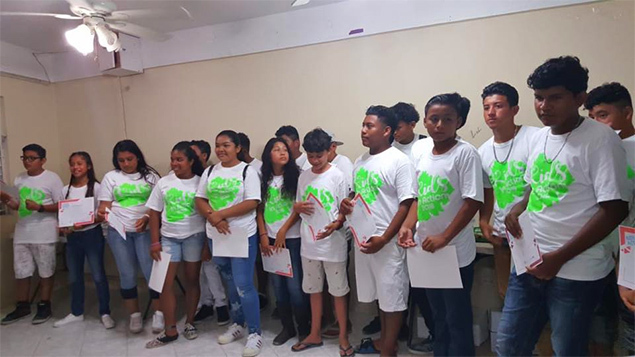 The San Pedro Sun joins the community in congratulating the new divers of Kids in Action Camp 2018!